dock10, the MediaCityUK-based media services provider, is providing production facilities and post-production services for The Furchester Hotel, a brand new CBeebies In-House and Sesame Workshop co-production. The 52 x 11min series began filming on 24 February in dock10’s HQ2 studio and is scheduled for broadcast on CBeebies from Autumn 2014. Andy Waters, Head of Studios, said, "HQ2 is one of the most technically advanced studios in the UK, with connectivity for 12 camera channels, file-based HD workflows system and advanced lighting and scenic hoists - it’s a fantastic environment for production and talent alike. We’re delighted that the residents of The Furchester Hotel have made HQ2 their home for the next few months, and we will work hard to keep Cookie Monster’s cookie supply regularly replenished." At 7,500 sq ft, HQ2 is dock10’s second largest studio, and the Furchester set fills the entire space. The studio is home to a wide variety of shows including Citizen Khan, A Question of Sport, The Sarah Millican Television Programme, Mastermind, 8 out of 10 Cats, John Bishop’s Only Joking, Swashbuckle and The Slammer. 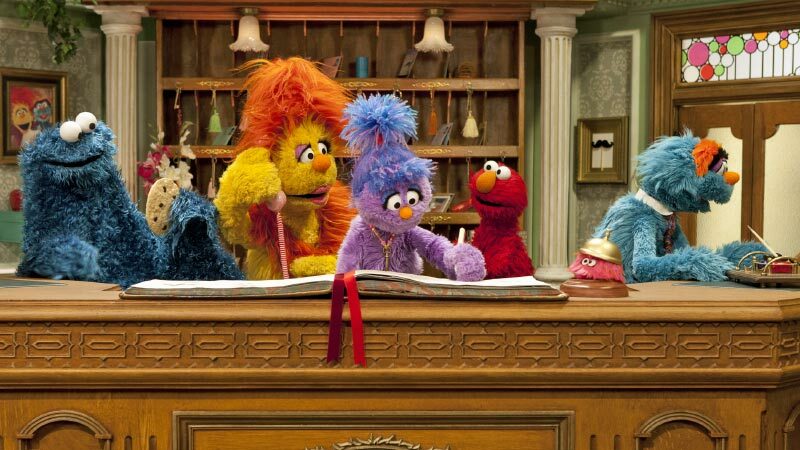 The Furchester Hotel, commissioned for CBeebies by Controller Kay Benbow, is about a close-knit family of cheerfully incompetent Muppet monsters who own and operate an 'almost' world-class hotel. The proprietors are Funella Furchester, the welcoming monster owner, her loving husband, Furgus Fuzz, and their daughter, the unflappable Phoebe Furchester-Fuzz. The Furchester family is joined at the hotel by Elmo, Phoebe’s cousin who is on an extended visit, and Cookie Monster, who has landed his dream job as room service and dining-room waiter. The Furchester Hotel aims to promote and build creative problem solving skills for its young viewers. As the Furchester family scrambles to meet the needs of its guests, the monsters use their exceptional thinking skills to brainstorm possible solutions to problems that arise. And even when they think they have exhausted all the possibilities, their perseverance prevails because their family motto is, “A Furchester never gives up!” The daily mishaps and mix-ups at The Furchester Hotel will provide many opportunities for our young Muppet friends to model ways in which pre-schoolers’ natural curiosity and creativity can be harnessed to collaborate and solve problems.